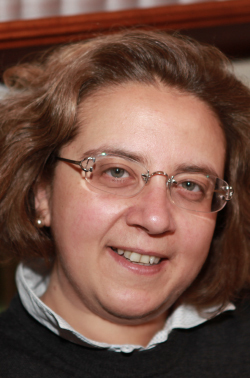 Giuseppina Maritato has been practising as a lawyer since 1994 and she has always focused on civil law, bankruptcy law and matters related to the application of the so-called “Prodi Law” on the administrative compulsory liquidation of financial companies, in particular dealing with the issue of companies group. In 2003 she set up her own legal practice. From 1998 to 2003 Atty. Maritato was entrusted by ULSS 20 within the Regione Veneto with the task of legal advising and was appointed as the responsible for the drafting of advices relating to healthcare field, for the management of litigations in the civil, administrative, labor sectors and matters relating to public employment. As a Professor at the Ulss20, from 2002 to 2004 she held professional training courses for administrative staff as well as conferences on issues relating to the exercise of health professions. In 2004 she was appointed as legal and administrative advisor at the Technical Service Centre of the Hospital, carrying out the mandate through drafting tender contracts, organizing calls for tenders, drawing up specifications related to the administrative section of the calls for tenders organized by the said entity and collaborating, as secretary, to the technical committees appointed for the performance of public procedures. In 2004 and 2005 she carried out, on behalf of the Social Services within Ulss20, courses for care assistants and dental assistants. She is resident partner of the firm IP_Law Galli at the Verona branch.